Celebrate your special day, and impress your guests by having personalised wedding wine bottles on each table at your reception. Talk to us about supplying your wedding with quality wines all personalised with your special wedding wine label. Personalised wedding wine bottles are such a nice memento to take home and cellar to remember your big day! 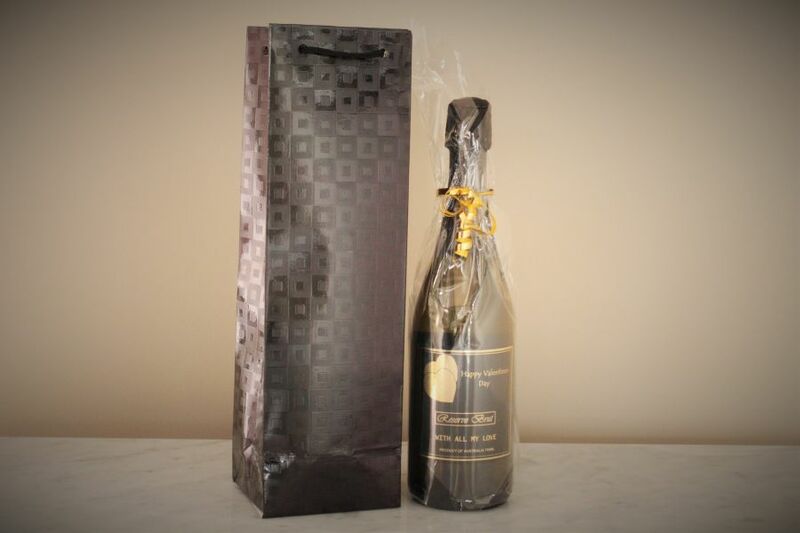 We also offer a fabulous Brut Reserve labelled with your names on the bottle with a carry bag for your guests to take home as a thank you gift.